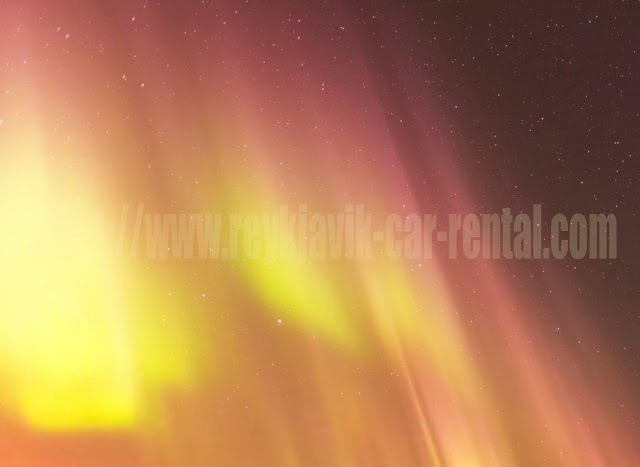 For tourists who come to Iceland, seeing beautiful northern lights is a desire and happiness. Although the scenery in the sky is difficult to understand and its presence is also difficult to predict. There are many factors that need to know such as the time, the intensity of the backlight, weather, spot, and so on, as well as good fortune. Therefore, you shouldn't make this natural phenomenon as a primary goal. You can think of it as an additional tour. Because there is no guarantee you can always see it. However, we will still provide you with a complete guide to hunting aurora. In fact, northern lights always exist throughout the year. Even though it's in the summer. But, its spectacular lights aren't visible to the naked eye due to the high intensity of sunlight in the high season. Ok, now let's discuss one by one. Why is Darkness Important When You Hunt the Northern Lights? With maximum darkness, the northern lights will be seen more clearly. Because of that, you must know when the darkest months in Iceland occur. The months that match your expectations start from September to mid-April. These are the best times to observe northern lights. But there are also some people who suggest November to February. Although both of the two periods offer the best darkness, in the second choice, the weather is often unfriendly. Because of frequent snow or rain. But certainly, you shouldn't come in the summer or mid-August. Because at that time, the daylight is very long so the intensity of sunlight is too high. It's not the appropriate season to observe the northern lights. If you only stay for a while in Iceland and you want to see the northern lights well then it's hard to do. Ok, that could happen but the chances are small and you need luck. So the minimum time to stay is 7 days. There are certain reasons why this is the minimum time you need. First, the cycle of the amazing phenomenon in the sky is usually active for 2-3 nights. After that, the activity decreased at 4-5 nights. A long trip plan is a right step if you want to see northern lights. Although not everyone can do it because of budget problems, return schedules, and so on. But, if you really want to get the sensation, then planning a long trip is worth your effort. The reason is quite logical, because the longer you spend time in Iceland, the more likely you are to see it. To see the northern lights with the best view, maximum darkness is not enough. You also need the sky with clear conditions. You can interpret with no cloud covering the sky. Based on the geographical location of Iceland as a small island that is located north of the Atlantic Ocean, it has weather that tends to be unstable. The weather in this place is really unpredictable. The darkest and clearest nights usually occur in the coldest season with temperatures below freezing. For this reason, winter is often said to be the best time to see northern lights. While on warmer nights the sky tends to be cloudy and sometimes a little rainy. Ok, now you already know a number of factors that can influence northern lights observation. Now we will discuss when is the best time to come for this purpose. Can tourists see northern lights in the Icelandic sky every month? It turns out this phenomenon is only seen for about 8 months in a one-year period. You can observe it from the beginning of September to the end of April. But, within 8 eight months, you will not get a guarantee that you always see it! Maybe you hope that easily. We know that luck also plays a role here and it will be better if you understand the most active period of the aurora borealis. Yes, based on statistics there are 4 months where the intensity of northern light is very strong. The months are divided into two seasons, September and October in the fall and in March and April in the Spring. 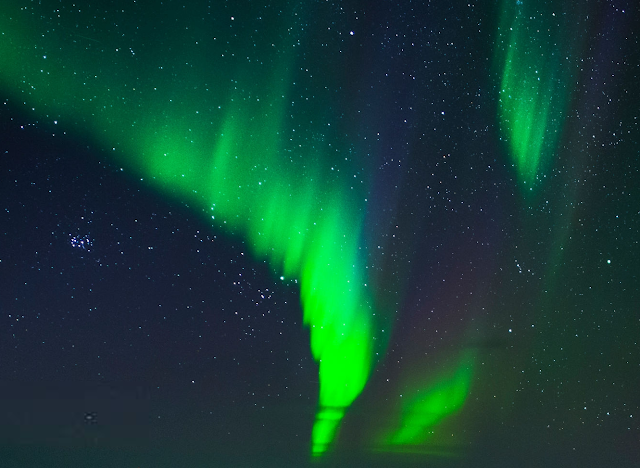 Statistically, these four months are categorized as the best time to hunt aurora borealis. But don't forget also about the three factors that we discussed earlier. Because they might cause your observation to be less optimal. So What Should You Do to See Northern Lights? To see the northern lights clearly, you should take the route to the countryside. 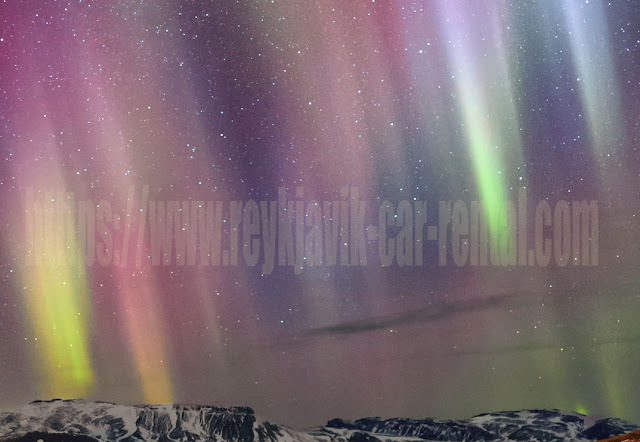 There is no light pollution from city lights like Reykjavik or from vehicles in such areas. Don't worry about where to stay, because you will find hotels and guesthouses at affordable prices when you come on offseason. You can see weather forecasts to estimate your chances of seeing northern lights. You should do it regularly before your departure to Iceland. Go to Icelandic Meteorological Office website to get information about the sky condition hourly. You can also see the online map where clouds cover the sky (green colors) and clear parts of the sky (white colors). This will really help you. So which one do you choose? Actually, the answer is depending on your own desires, about what experiences you want to get. If you want to do a self-drive, make sure you are used to driving on snowy roads. Sometimes this can be difficult. Make sure you always obey the rules of the road and are also responsible for the safety of you and others. As long as you are confident and can set the aurora hunting schedule independently, then it seems there is no problem. This way you can get valuable adventure experiences in your life. What do you feel when you are in a traditional Oak boat while looking at the northern lights? It must be fun. You can get this interesting service from North Sailing, where they offer you how to hunt aurora in a unique way. You will hear interesting stories and they will take you far from light pollution to grab the northern lights more clearly. Guided tours and self-drive can be the right combination when you decide to take a long vacation schedule in Iceland. The advantage is that you will get guidance from an expert about what activities you have never tried before. In addition, you can still do exploration freely according to your wishes. Touring to the Jökulsárlón or snowmobiling Lagoon is usually the location package for viewing the northern light dance. Don't forget to use clothes that can keep you warm because you might come in winter. Use layers of natural fiber clothing, scarves, hats, cotton socks, and waterproof outerwear to protect your body from extreme cold. Apart from that, Iceland always has an interesting story when you return home.